BRS parachutes are lifesavers in cases of engine failure, mid-air collisions, pilot disorientation or incapacitation, unrecovered spins, extreme icing, and fuel exhaustion. In 1995, NASA's Langley Research Center awarded Ballistic Recovery Systems (BRS), Inc., the first of three Small Business Innovation Research (SBIR) contracts to research and develop a new, low-cost, lightweight recovery system for aircraft that could be commercialized in both civilian and military markets. The company, based in South St. Paul, Minnesota, responded with a unique ballistic parachute system that lowers an entire aircraft to the ground in the event of an emergency. BRS parachutes are designed to provide a safe landing for pilots and passengers while keeping them in their aircraft. 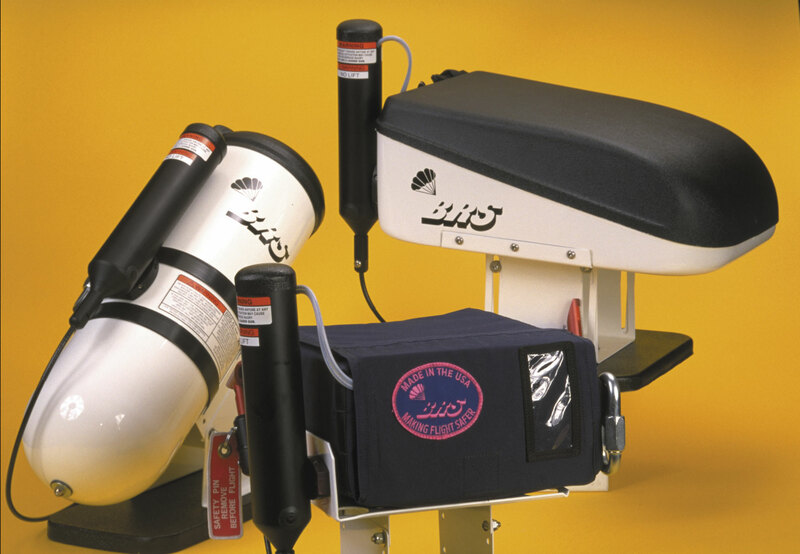 They currently fit ultralights, kit-built aircraft, and certified small business aircraft. The parachutes are lifesavers in cases of engine failure, mid-air collisions, pilot disorientation or incapacitation, unrecovered spins, extreme icing, and fuel exhaustion. These situations typically do not lead to injury while the aircraft is still in the air; fatalities occur upon impact with the ground. Since the parachute lowers the entire craft, passengers do not need to learn or deploy individual parachuting procedures. The pilot deploys the BRS parachute by turning off the engine and pulling an activating handle. According to the company, pulling the handle feels like slamming on the brakes of a car, only smoother. In less than a second after the handle is pulled, a rocket on the system accelerates to over 100 mph, extracting the parachute and tightly stretching its lines and airframe harness attachments. Shortly afterward, the parachute's canopy becomes fully inflated and begins decelerating the aircraft, which stabilizes quickly. Once stabilized, the aircraft has a design descent rate of 25 feet per second at 5,000-feet density altitude. Since a BRS parachute lowers the entire aircraft, passengers do not need to learn or deploy individual parachuting procedures. Although originally designed for lighter weight aircraft, BRS gained the technological ability to adapt the parachute systems for conventional aircraft. This opened the door for BRS to install the parachute system on the Cessna 150/152 aircraft. 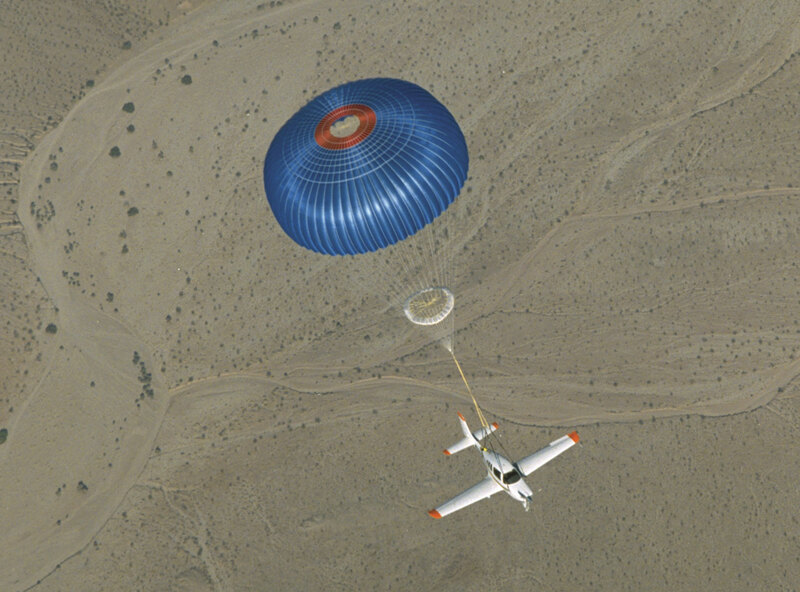 Currently, the company's Cirrus Airframe Parachute System is included as standard equipment on Cirrus Design Corporation's four-seat SR20 and SR22 aircraft. With over 148 stories from pilots whose lives were saved as a result of a BRS parachute system, the aviation industry is taking notice. A leading aviation insurance underwriter grants a 10-percent discount on insurance premiums to pilots flying with the BRS parachute.With its recent award of a new Phase I SBIR contract, BRS is investigating the possibility of installing emergency parachute systems to lower corporate jets carrying 4 to 12 people. In order to achieve this, the company is testing a new lightweight parachute design that was also funded by an SBIR contract from Langley. The new design will adapt a reinforced film technology that is used in the manufacturing of high performance sails, such as the ones on the America's Cup racing sailboats. With NASA's support to improve aviation safety, BRS continues to strive for softer landings.